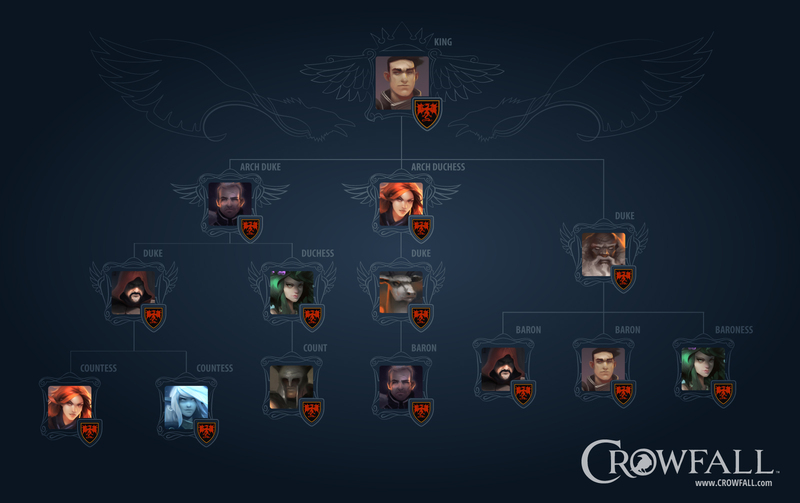 What does Crowfall have in common in World of Warcraft? Very little - which is the entire point. 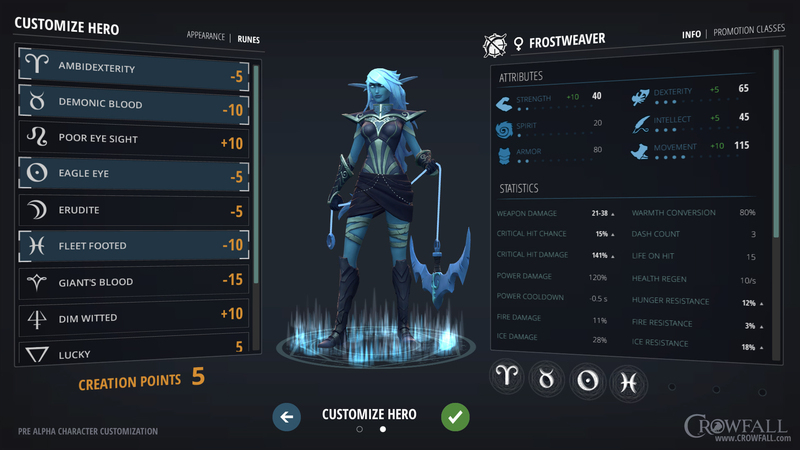 ArtCraft founders Gordon Walton and Todd Coleman are less interested in competing with WoW than taking MMOs into uncharted territories, creating characters who can leave a permanent impact on the face of countless worlds. 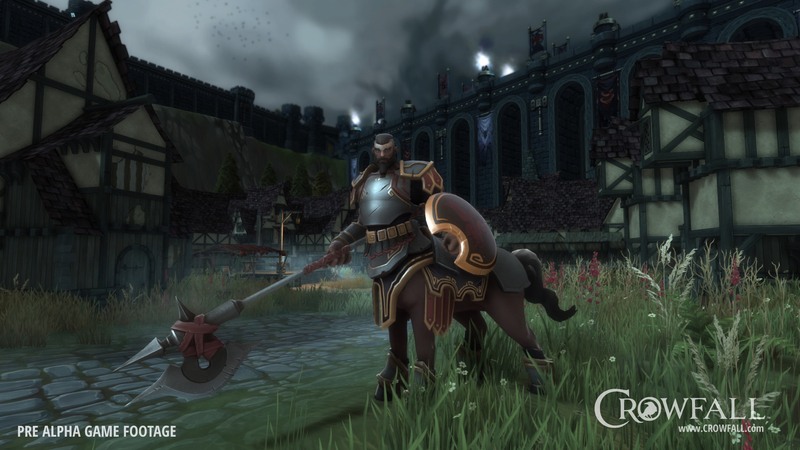 That sales pitch quickly made Crowfall - which was already promising to combine elements from EVE Online and Game of Thrones - into one of the fastest growing video game campaigns ever crowdfunded. 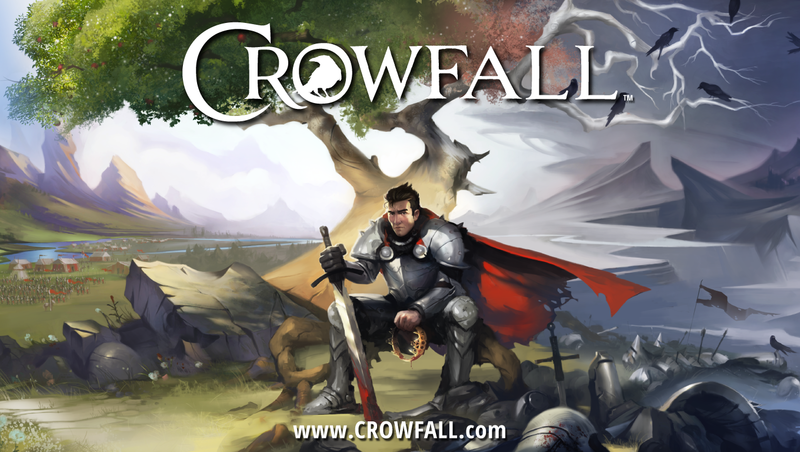 Crowfall is set in a universe where the gods have empowered champions - called crows - to stand against The Hunger, an undead army consuming hundreds of worlds. 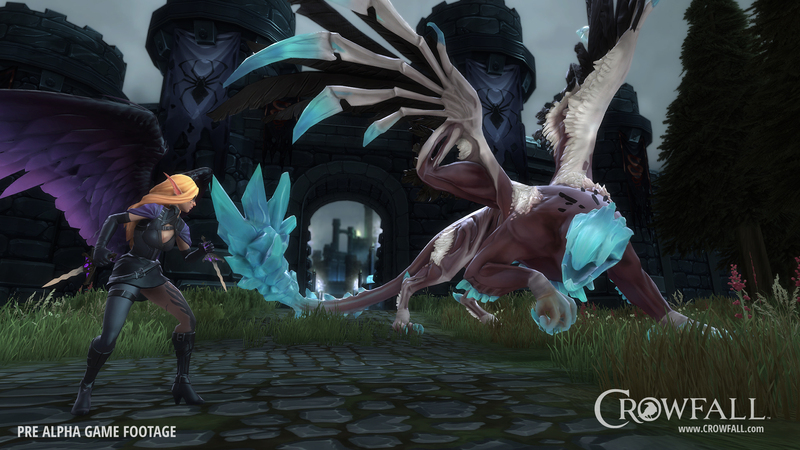 But unlike other MMOs, these dying worlds aren't static, they're temporary. 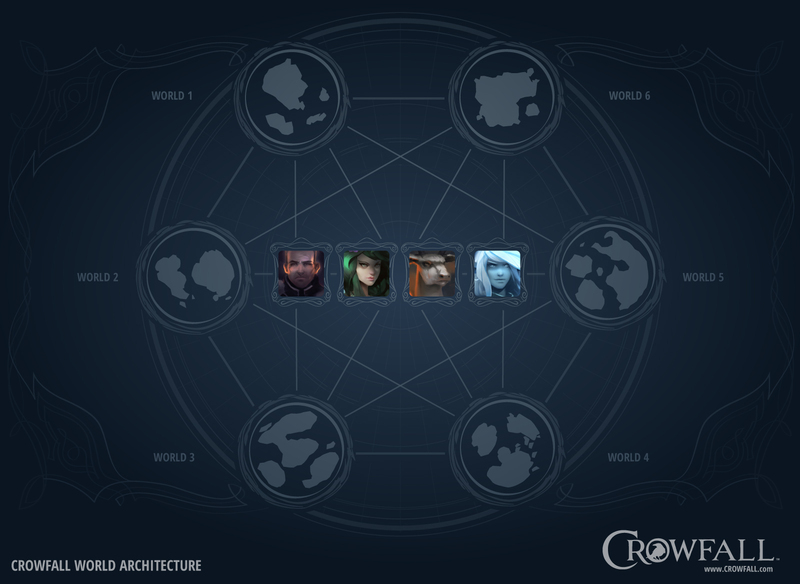 ArtCraft Entertainment plans to host dozens of servers, each containing a procedurally generated world for a few months - until the crows complete their objectives or the world finally dies. At that point, players leave the planet's husk with their spoils and find a new server with a procedurally generated world to play in. Coleman describes the experience as a combination of MMORPGs with Civilization-styled strategy gameplay - right down to procedurally generated worlds. 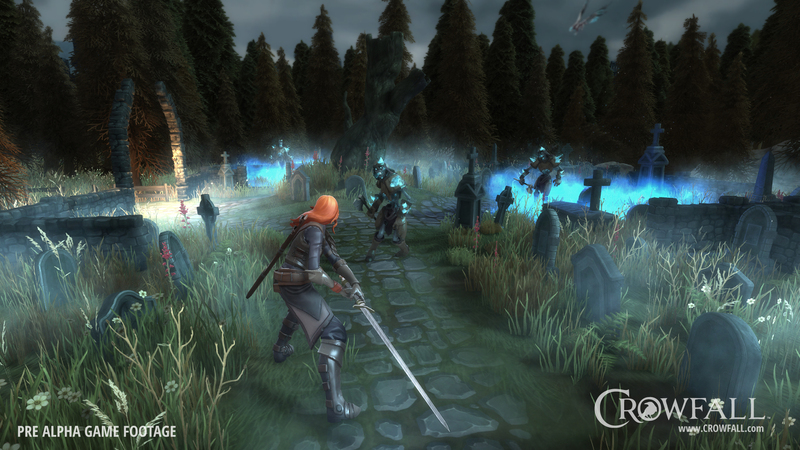 "When you come in the server you're surrounded by Fog of War," Coleman told The Escapist. "You have to scout out resources and weapons, and build fortifications, and lay siege to your neighbors, and your goal is literally to conquer that world before it is destroyed ... 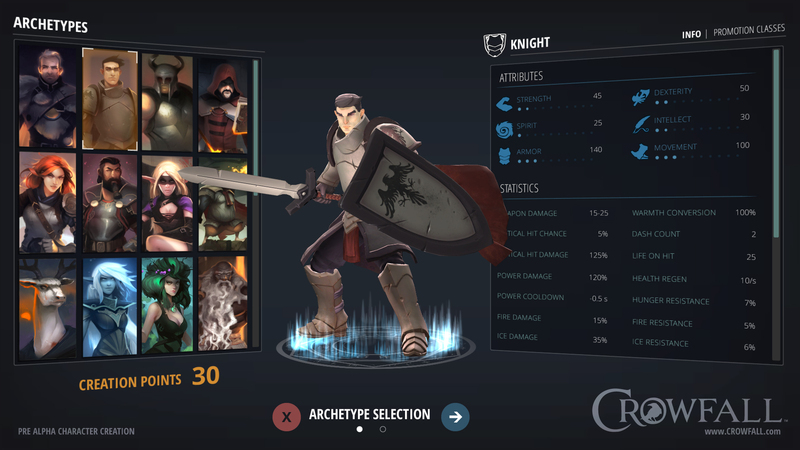 So you can still keep the advancement that you gained, but you move on to the next campaign." In short, this means every single campaign world offers a vastly different experience. 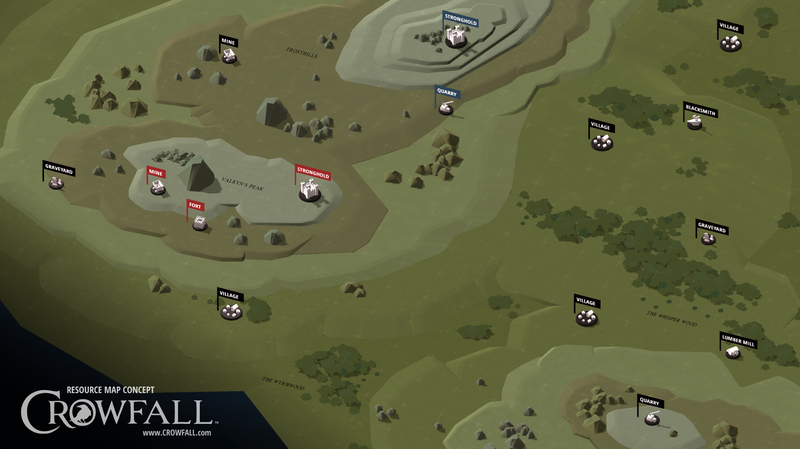 Each new server will present a fresh landscape where players build structures to defend territory and alter the environment to suit their needs. And unlike traditional MMOs, the usual two-army faction system will be dropped for more complex allegiances between gods and guilds. Combined, you can forget about subjective Horde vs. Alliance debates - teams will back up their preferences objectively through victory and failure. "One group wins and can say we won," Coleman said. "It's not an argument. It's like 'Nope, that group won, they are the tournament leaders and the Superbowl winners of 2014.'" But campaigns are only one side of the game. 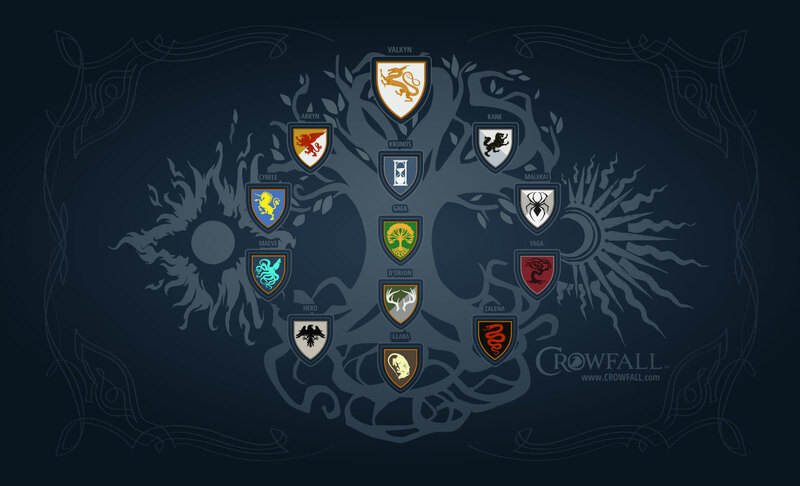 The second half is established by the Eternal Kingdoms, player-run worlds that are permanent but have no native resources. 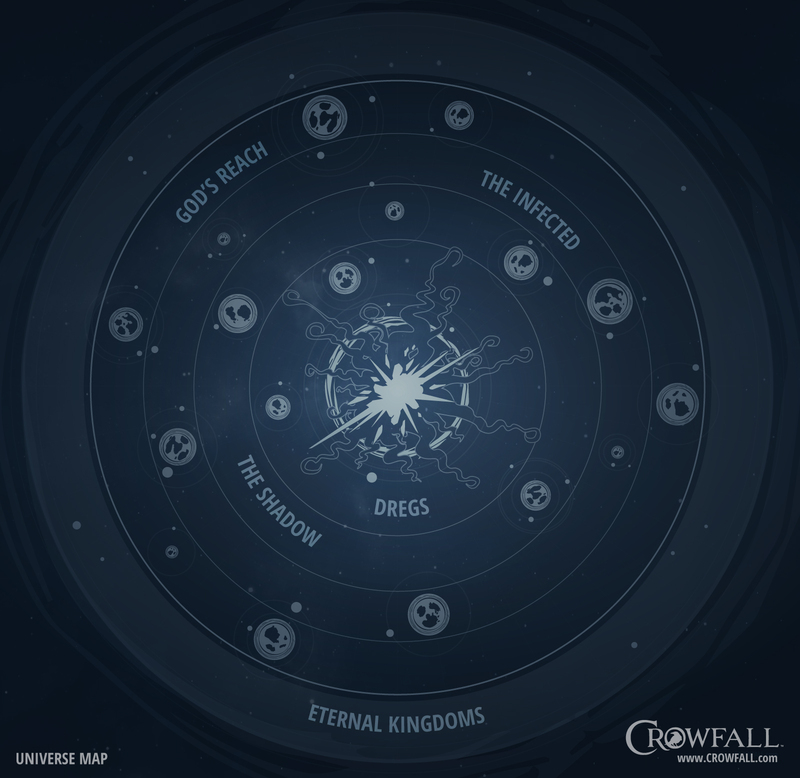 Each player will be granted their own Eternal Kingdom, where resources earned from campaigns can be used to construct new structures. The twist is that players can be accepted into fellow Eternal Kingdoms and taxed to build a home on a land grant - almost like a feudal-based Minecraft. "The larger Eternal Kingdoms [will] have lots of people who are living there," Walton said. "There's going to be lots of economic activity, lots of socialization activity going on in these, lots of building activity going on." 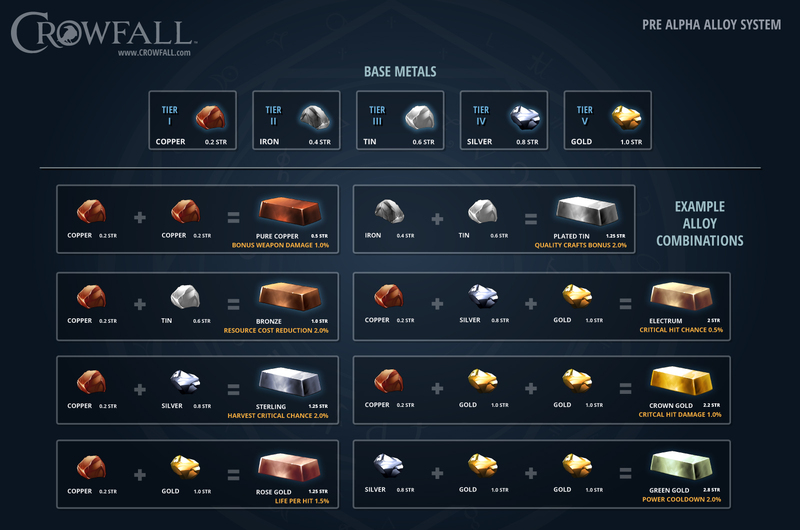 Campaign play and Eternal Kingdoms are meant to complement each other - players gather resources among the worlds and bring them home for sale and construction. But powerful players are perfectly free to hire others to gather resources for them. And since the economies are entirely player-run, simply developing your territory can become an experience all to itself. "Economic trading and building a mercantile empire," Coleman said. "There. That could be somebody's entire game and they could never go into the campaigns if they want to." 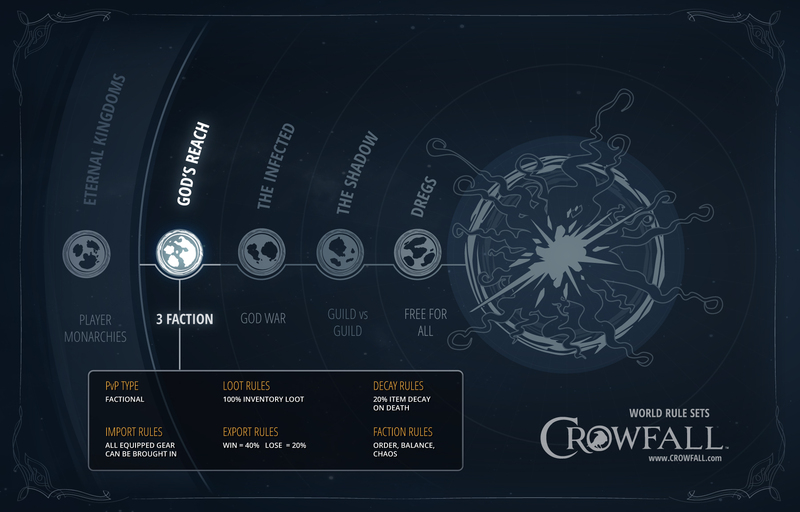 When you are visiting the campaigns, Crowfall's format lets players experience something few MMOs allow - custom rules. 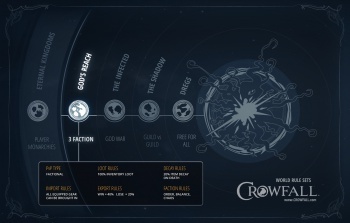 Outside of giving each world a distinctly visual style, each server will tweak Crowfall mechanics in various ways - sometimes subtly, other times obviously. 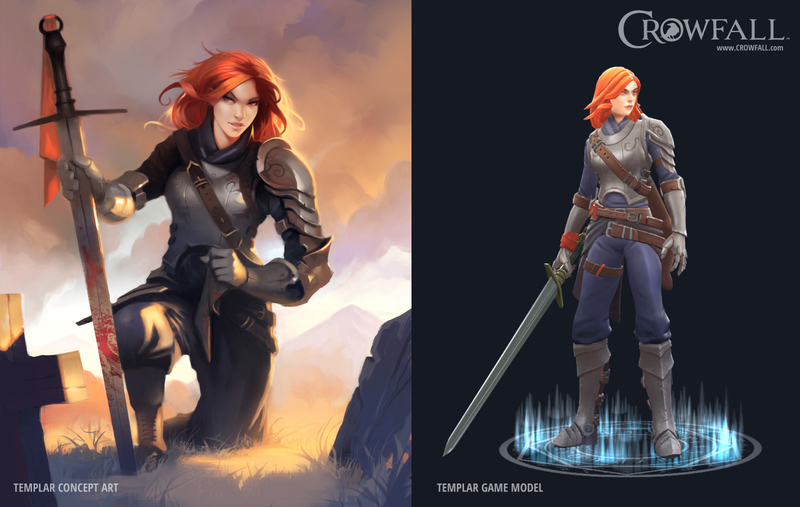 One world may take the approach of traditional MMO rules, while others completely twist expectations. "You've seen 'This is a PK server, this is a roleplaying server'," Coleman explained. "But the idea of, okay this server has gunpowder... or this server has no magic, a no-magic zone... What will that do? And the neat thing about it is that since these are time-limited, we can do more experimentation. And if we screw up ... alright, we just won't do that one again."